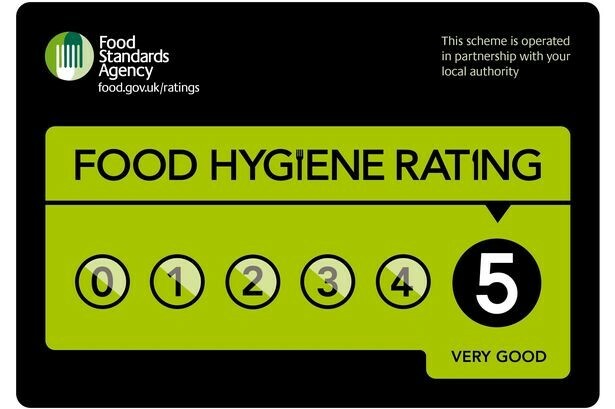 Enigma Hospitality teams on both Campuses have achieved the highest possible Food Hygiene Rating following unannounced visits from Slough Borough Council’s Food & Safety Team. We are really proud of the teams and what we have achieved since taking the service in-house in August. The Engima Hospitality team invited the Town Hall’s Pupil Leadership Team to an afternoon session to help develop the Summer Term menu. 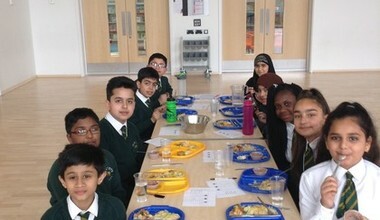 At this session, pupils were able to try a selection of the new menu items and desserts, as well as feedback on their experiences of lunchtime in a collaborative effort to drive the continued improvement of the school experience for all pupils. Having just been awarded a 5 star food hygiene rating, this opportunity gave a further chance to celebrate the amazing achievements and hard work of the Hospitality staff. The new menu received heaps of positive feedback (especially the desserts), with one pupil commenting that ‘it is clear that the lunchtime staff take pride in their food and how it is served’. Look out for the new Enigma Summer Term Menu starting after the Easter break.